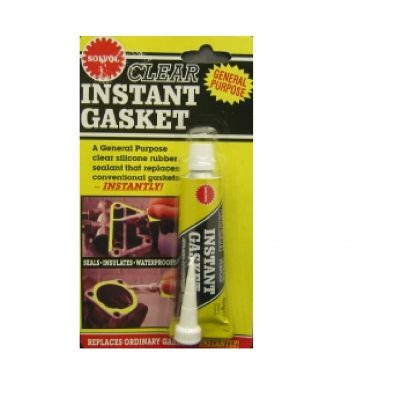 High temperature instant gasket – clear. Low volatile gasket for waterpumps etc. LPG resistant. 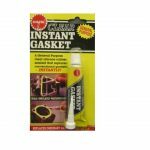 50g tube.RTV instant gasket is a general purpose silicone rubber sealant that seals, insulates and waterproofs, replacing conventional gaskets in an instant. It can be used as an excellent general purpose adhesive as it bonds to metal, plastic, rubber, glass and many other materials. It’s special formulation allows RTV instant gasket to withstand temperatures from -60deg C to + 204deg C and intermittent use to + 304deg C. It rapidly forms a skin but does not harden or crack and will resist all lubricating, coolant and transmission fluids. Uses: Automotive, marine and gardening equipment.Excellent for use on water pumps, transmission pans, timing gear covers, exhaust manifolds and differential covers etc. It also insulates electrical parts and makes a perfect gasket for solenoids, relays etc.Instructions: As a sealant/gasket: Apply a film of oil to one of the joining surfaces before assembly. 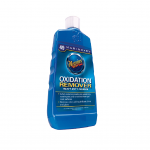 Squeeze RTV instant gasket onto the dry surface in a continuous line. Assemble and bolt down. Excess can be trimmed with a sharp knife when fully cured.Instructions: As an adhesive: Ensure all surfaces to be joined are clean and dry. 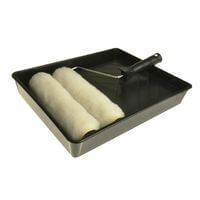 Apply RTV instant gasket andf smooth or shape by pressing lightly with a suitable moistened shaping tool. Excess can be trimmed with a sharp knife when fully cured. Please allow 24hr for sealant to be fully cured. Do not use on head gaskets.Caution: Unsuitable for continuous fuel immersion or high temperature applications. Avoid prolonged or repeated contact with skin. In case of contact with eyes wash well with plenty of water. Keep out of reach of children. Do not store in temperatures exceeding 50deg C. Do not punture or incinerate container.